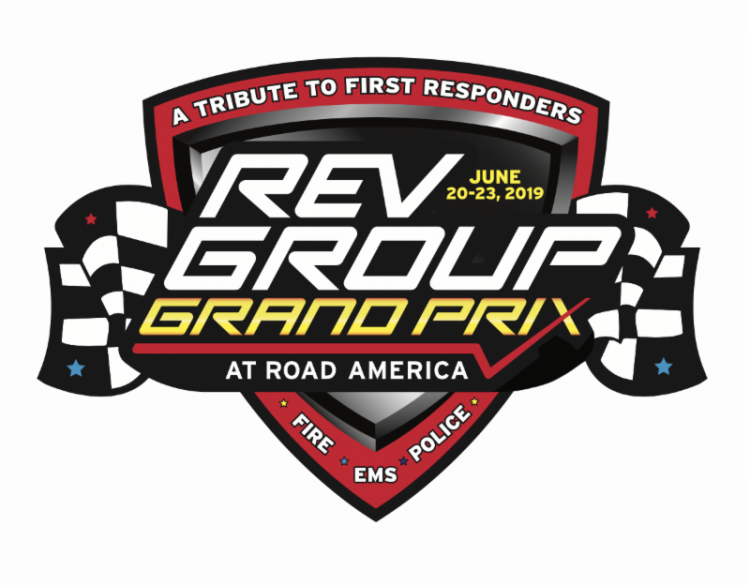 REV Group, Inc., (NYSE: REVG), a Milwaukee-based manufacturer of industry-leading specialty vehicle brands, along with Road America, have teamed up to pay tribute to first responders at the NTT IndyCar Series REV Group Grand Prix June 20-23, 2019. As part of the tribute, all active-duty first responders will receive FREE entry to the REV Group Grand Prix during the entire weekend of activities including the NTT IndyCar Series race on Sunday. Additionally, REV Group and Road America have planned a unique race experience to honor the men and women that answer the call to protect and serve our communities. First responders, including law enforcement, fire, paramedics and emergency medical technicians, will be admitted free of charge by showing valid identification indicating active serviceThursday, June 20 through Sunday, June 23. FREE admission must be redeemed at the gate and is only valid during the event weekend. The NTT IndyCar Series will take center stage at Road America in Elkhart Lake, WI, June 20-23, where an international lineup of drivers will compete on one of the world’s most revered road courses. NTT IndyCar Series Championship driver, Josef Newgarden, will return to defend his 2018 Road America win in a REV branded Team Penske Dallara/Chevrolet. “Safety is paramount at our track and in this sport, and the fire and medical team are critically important. Our award-winning Road America Safety Team, which is entirely first responders, have saved many lives over the years, and we are thrilled that the REV Group Grand Prix gives us the opportunity to recognize all first responders on and off the track,” said Mike Kertscher, Road America’s President and General Manager. Tickets are available and additional event details, ticket pricing, a tentative event schedule and camping information can be found at www.roadamerica.com or by calling 800-365-7223. Anyone 16-years-old and under are FREE with a paying adult at the gate. All races will run rain or shine.